I know, I know, the cuteness lately is getting out of hand. 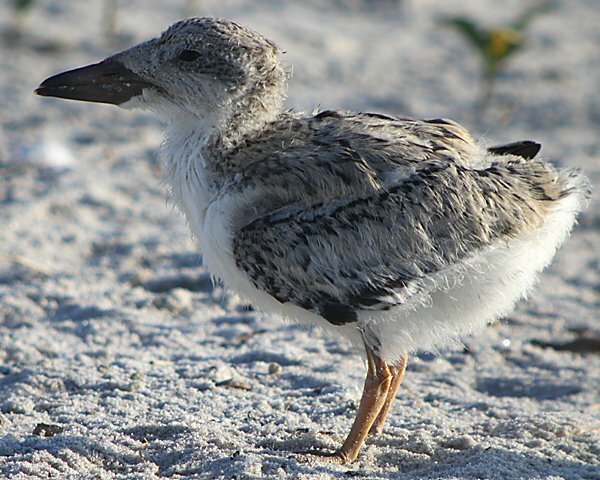 First it was a bunch of baby waterfowl, then it was the baby Gadwall, then a variety of baby birds on the beach. What can I say? I am addicted to adorableness! Besides, it takes a hard- hearted, callous, and cruel person to have a negative reaction to fuzzy baby birds. Seriously, what kind of monster doesn’t want to look at adorableness all day long? 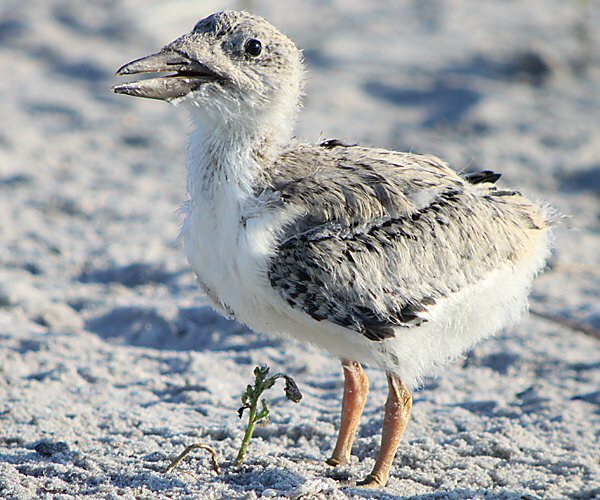 The baby Black Skimmer in this post was photographed just over a week ago in a colony of Common Terns and Black Skimmers (with the occasional American Oystercatcher) on the south shore of Long Island. The fencing protecting the colony was respected, of course, but the birds often came near the edge of the fencing despite the presence of several photographers. The confiding nature of the birds was, of course, greatly appreciated by the photographers, if the cacophony of clicking was any indication. 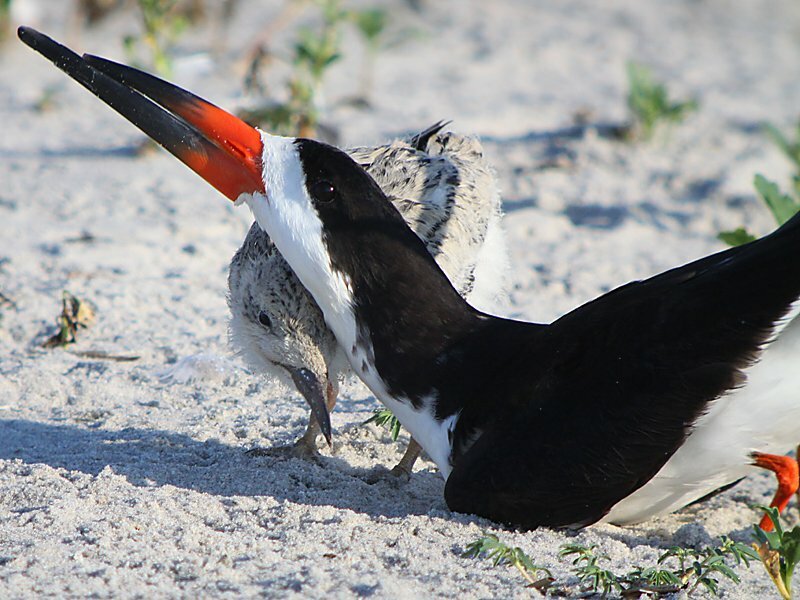 Black Skimmers often create their nest scrapes in in the colonies of other seabirds. 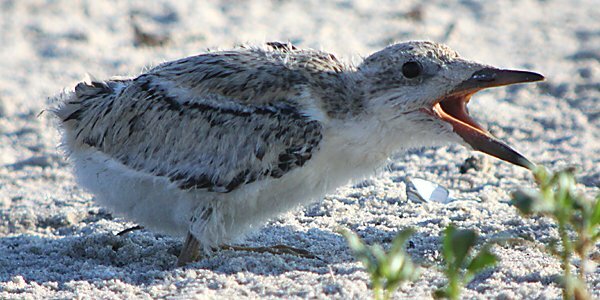 They incubate their four eggs for just over three weeks and the young usually fledge just under four weeks after hatching. 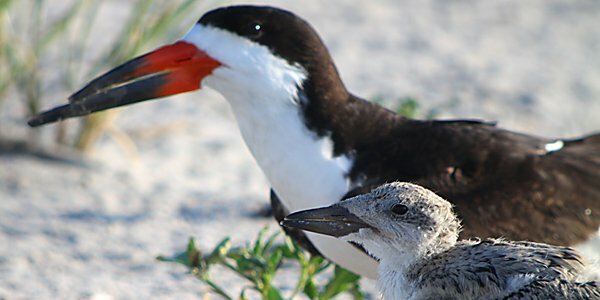 To learn more about Black Skimmers, or just to see some flight shots of adult birds, please check out the recent gallery from Cupsogue Beach County Park. Photos of Skimmers always catch my attention as we have nothing like them in Australia. 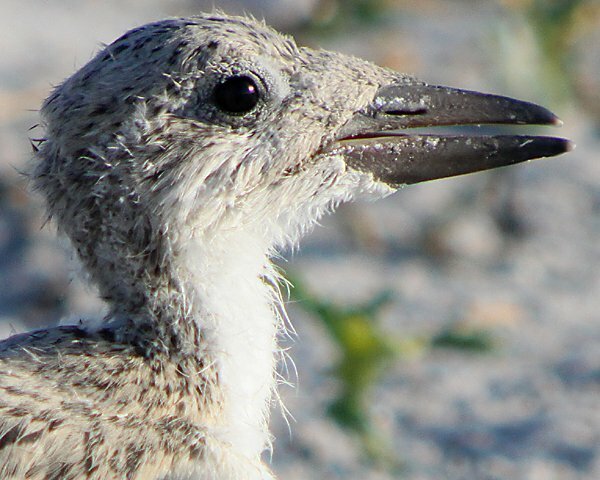 That beak is such an odd, but obviously effective arrangement. It’s interesting that the chick’s is no-where as disproportionate as the adult. They are very cute though! I prefer adult birds. Call me hard-hearted, callous, and cruel, but baby birds don’t do it for me. I’ve only ever seen a Hawk Owl “baby”, never an adult, and therefore it hardly counts for me as a lifer. Would you count a pullus as a lifer if it was – for some reason – definitely identifiable to species level but not accompanied by an adult? @Sonja: Glad you liked them. And don’t worry, the bill will soon grow into the skimmer! 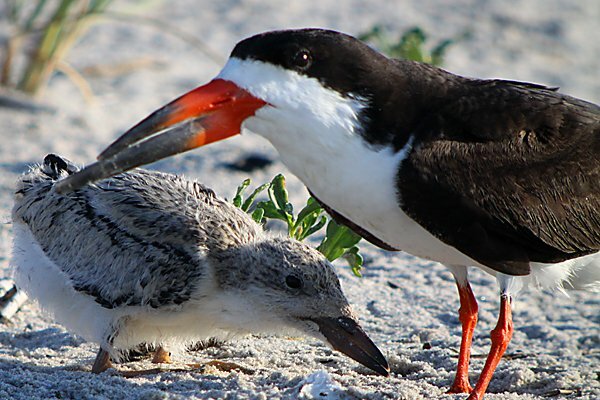 @Owler: 88% of people let out an involuntary “AAAAAWWWWWW!” when they see a skimmer. See, science! @Jochen: You are hard-hearted, callous, and cruel. And yes, yes I would. But it would definitely be a BVD. @Corey: well, I guess I asked for it. Oh wait, I actually did!